If you are completely new to piano, your instructor will introduce to you the basics of the note reading and hand position so you can play a simple song or two right during your very first lesson. From there, with each new lesson, we will take you in any direction you choose: you can concentrate on classical or jazz/rock/popular piano works or on any combination of music styles you like. Our teachers will give you many recommendations on which pieces to select and we always welcome your own ideas! If you had some piano lessons as a child but stopped cold turkey years ago and now want to play again, then we want you to know that you are not the only one in this situation! We have dozens of adult students coming to us after a long break looking for a new level of learning experience– And we are happy to provide it! Many of the things you learned as a child will quickly come back to you even if you think you forgot it forever, and then you can learn so much more on top of it! Learning piano as an adult works very differently from your childhood experience: rather than quickly copying and memorizing what the teacher does, adults process new concepts by intellectually understanding and implementing them much faster than children. You are not in disadvantage – you will be learning a lot of new music faster than you expect. And we know exactly how to help you do it. 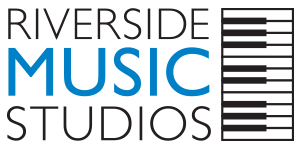 If you are an intermediate or advanced piano player, then taking lessons at Riverside Music Studios provides a wonderful opportunity to work with some of the greatest musicians in New York City. Our instructors have a minimum of a Master’s degree in performance (many in process or a complete Doctorate degree) from only the world’s major conservatories. This is your chance to significantly improve on your technique, sound, and interpretation – all in a very friendly and encouraging atmosphere. You can also explore some new music styles like jazz and improvisation if your background is only classical and vice versa. Or you can try some great classical music if you have a jazz/blues/pop/rock background. If you are interested in performing in public you will be able to do so twice a year in some of the most wonderful performance spaces in Manhattan and always on a concert size grand piano! 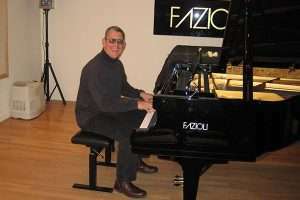 Ready to start Piano Lessons for Adults in NYC ?